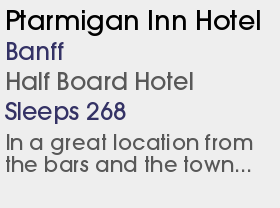 WEsay Good value for money and a great place for all standards of skiers and boarders. Few queues and a great nightlife but take your thermals - it can get cold! 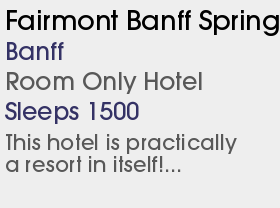 The spectacular Banff area has been protected by making it a National Park and in this genuinely unspoilt ski resort, wild elk still wander into town occasionally while bighorn sheep and the occasional moose can be seen in the foothills of the ski area. 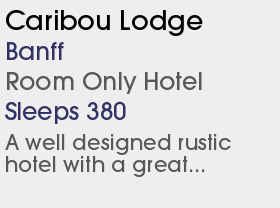 The three ski areas of Norquay, Sunshine and Lake Louise are all connected by an excellent bus shuttle service (free with Tri-Area Lift Pass). All grades of skiers will be impressed with these three unique mountains. There are 4 double-diamond blacks at Mount Norquay for the experts, whilst the intermediate will be more than satisfied with the action from the top of the Summit Platter lift and the Top of the World Express. Beginners will build their confidence at Lake Louise and not be held back by their limited abilities with an easy run descending from every lift. Boarders are in their element here and are further provided for by a highly-rated snowpark. With an excellent selection of informal bars, plenty of shops and a good choice of restaurants, the characterful 'downtown' area has everything you will need and more. 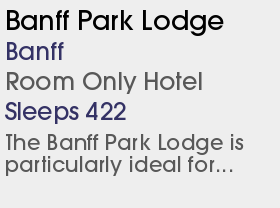 Banff comes highly recommended for its superb accommodation, great ski areas and above all for its marvellous scenery and frontier town atmosphere. 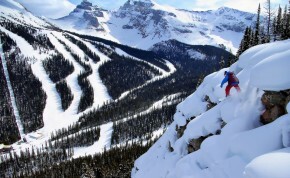 You could also try the torchlight descent at Lake Louise, snowmobling and dog sledding. The Teepee Town double chair at Sunshine Village will be taken place by a fast quad with heated seats.